Here at Master Pools of Austin, we design swimming pools of any shape or style, making it easy to complement the stunning natural beauty of Spicewood, Texas. Whether you’re seeking an oasis for your home or business premises, we have a wealth of experience to transform your on-paper plans into living reality. We welcome projects of all scales, from hot tubs to water parks, and offer pool packages for customers to limited budgets – to help you get the most from your money. Trust in our history and reputation to build and take care of your pool. 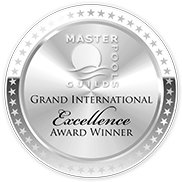 As part of the prestigious Master Pools Guild, this elite membership recognizes us for our superior level of service and technical ability. From above ground swimming pools to outdoor swimming pools, we listen to clients to create a final product that reflects your personality and desires. So, if you’re searching for expert swimming pool installation in Spicewood, Austin, and beyond, simply get in touch with our team today.